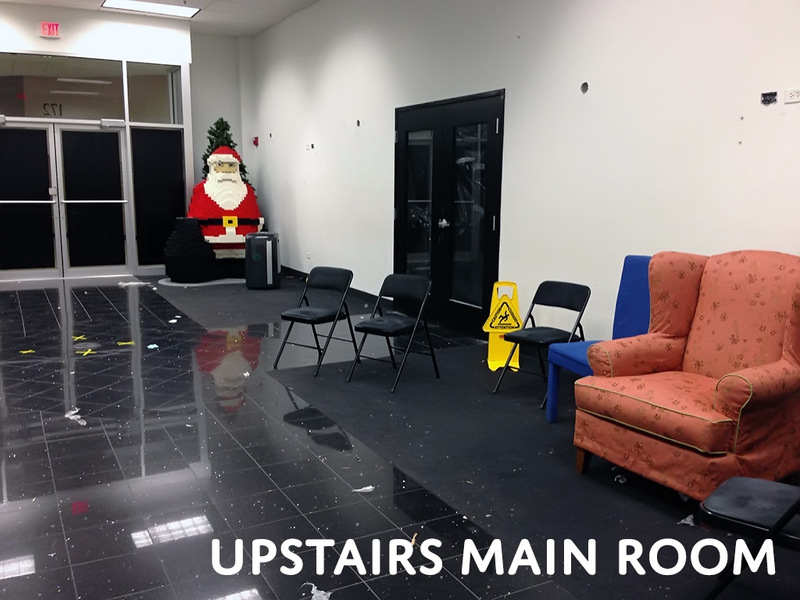 Laugh Out Loud has three spaces available for rent by the hour for rehearsals at our Schaumburg location. Schaumburg Upstairs Main Room is in the locked space above the theater, and is part carpeted and part tile floor with room for about 15-20 people. Oh, and there’s a giant Lego Santa. Schaumburg Upstairs Mirror Room is just off of the Upstairs Main Room. 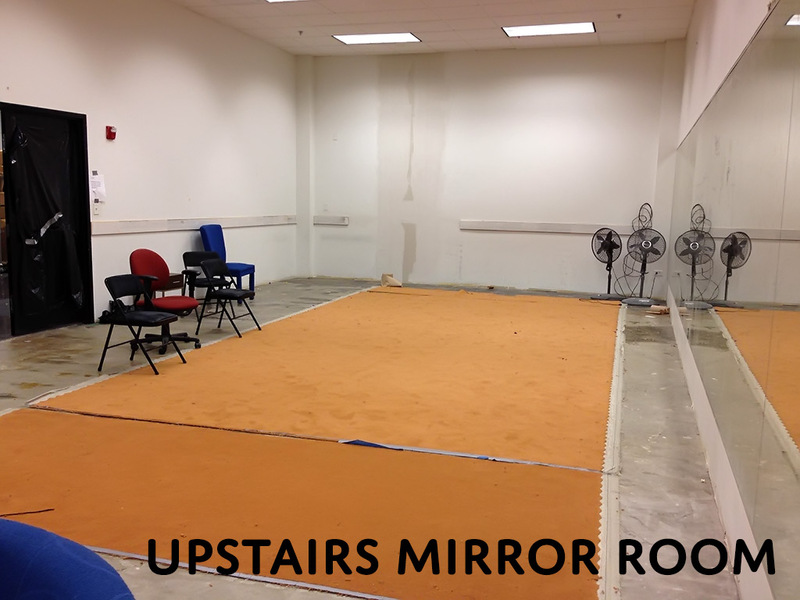 It has a mirrored wall and an orange carpet with room for about 20-25 people. If you are interested in renting a space for an event, corporate meeting, or any kind of commercial event (e.g. you want to put on a show or are hosting a workshop), the rates are different. Please contact Lillie at 847-240-0380 or email her at Lfrances@chicagocomedy.com. Space Rental cancellations must be made 72 hours prior to reservation time for a refund. Join our mailing list to receive coupons, drink discounts, and reminders of seasonal & special events. Interested in bringing us to your workplace? 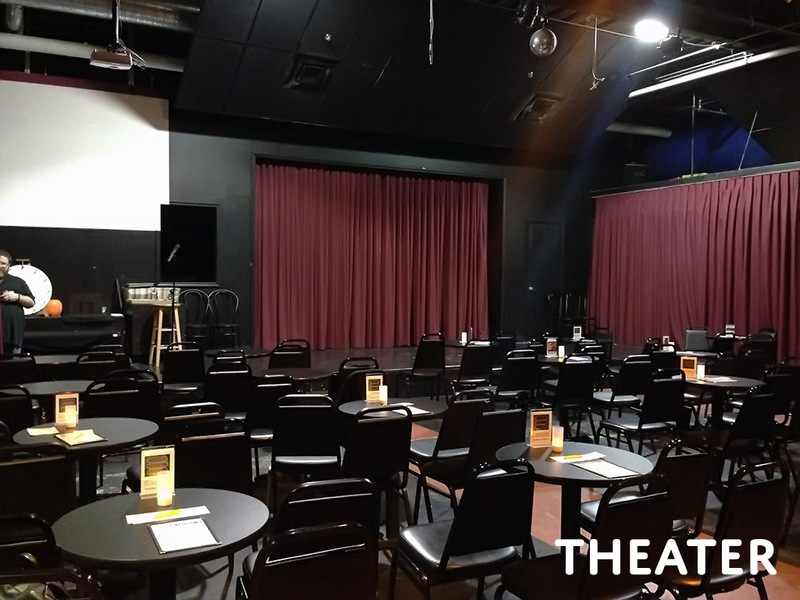 We also provide professional entertainment, training and development for corporations, colleges, and organizations as Chicago Comedy Company. ©2019 Laugh Out Loud Inc.